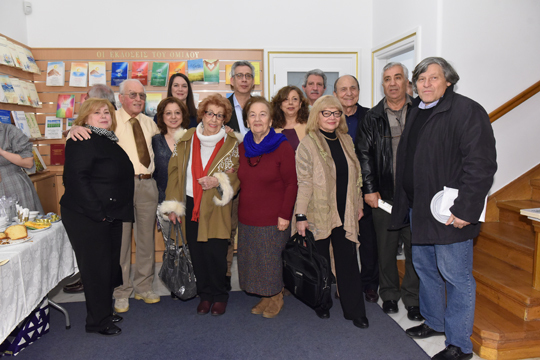 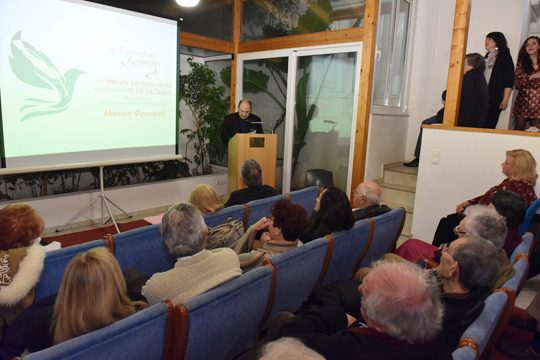 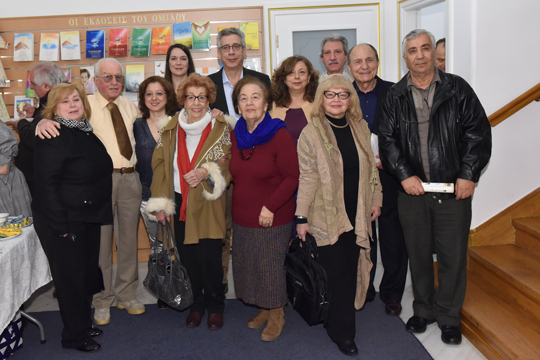 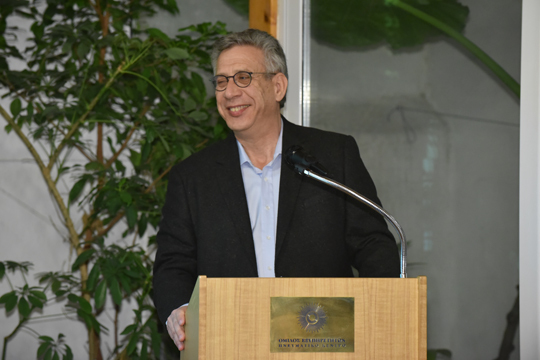 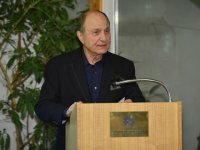 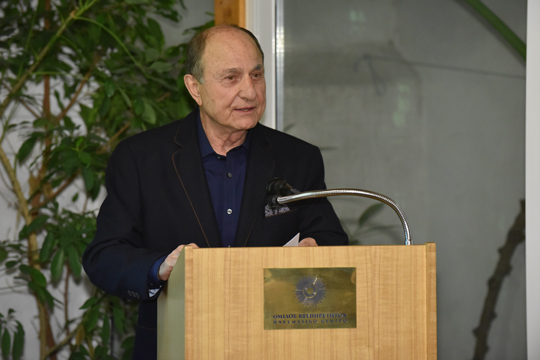 With words, images, thoughts and emotions as strong as the wind that was blowing the night of Saturday 30th Marzo, our event for the presentation of the exceptional litterateur Mr. Thanassis Frontistis’ work unfolded. 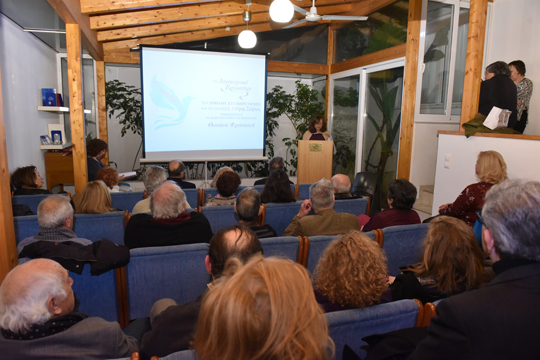 And the synthesis of all this whirlwind of ideas and concepts came into being and took form and became poetic word and redeeming breath. 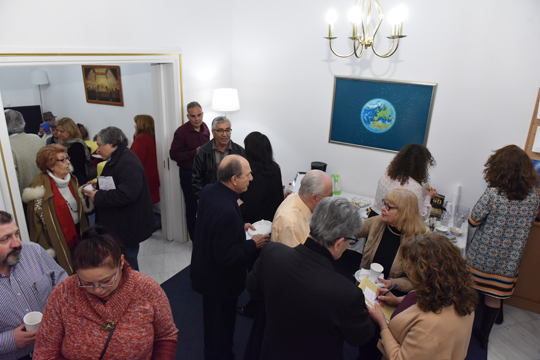 Nuestro Taller Literario worked with consistency and love for the presentation of Mr. Frontistis’ work, just as we do for the work of any creator. 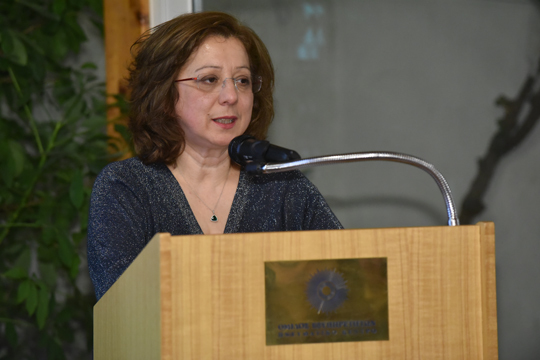 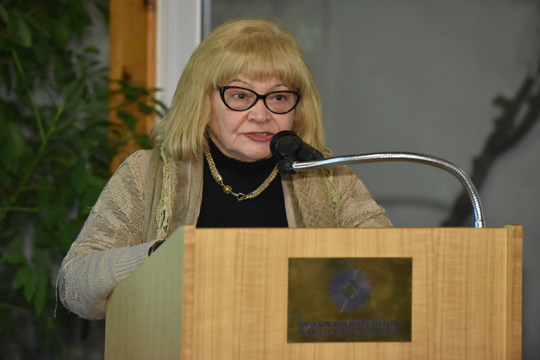 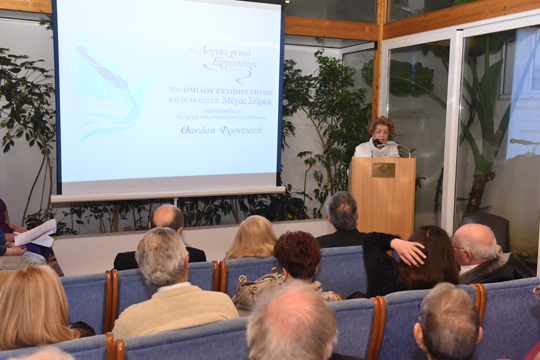 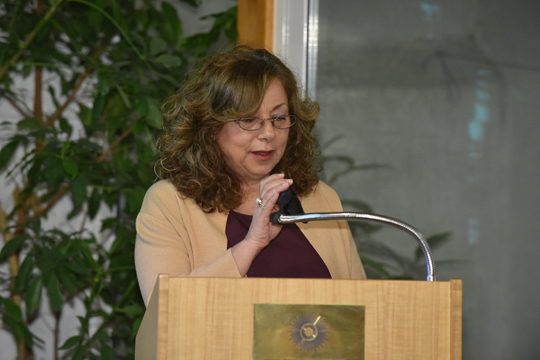 The Head of Omilos and of Megas Seirios Publications, Mrs. Paraskevi Kostopetrou, deepened into the poem “My Shadow” according to the analysis method for literature with which we work at Omilos, la “Kakalidis Method”, as it has been called by the litterateurs themselves. 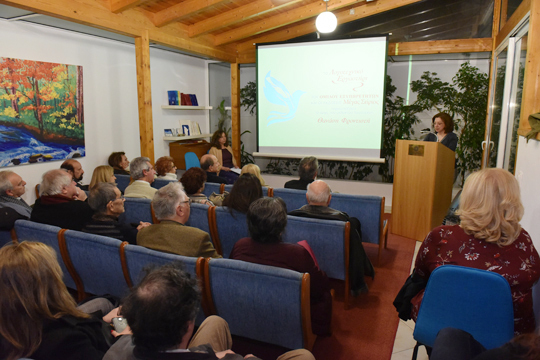 The poetess – mathematician, Mrs Vassiliki Ergazaki, presented in total the poetic work of the litterateur, and Ms Ioulia Siavraka, translator, illuminated the above-mentioned poem by transferring it to images through the creation of a video. 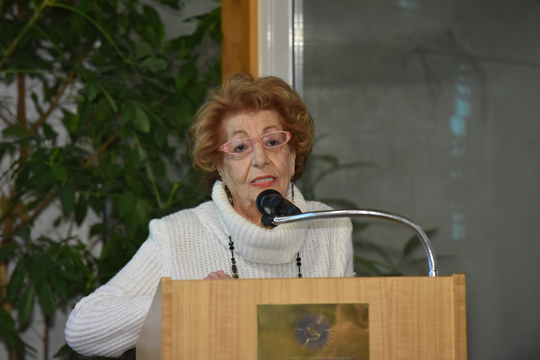 while the poetess Faidra Zambatha-Pagoulatou with her recitation brought his poems vividly before us. 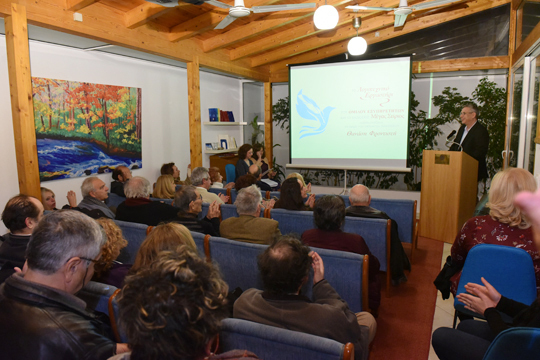 “A great wiseman once said that life is a huge river, and people are like the birds. 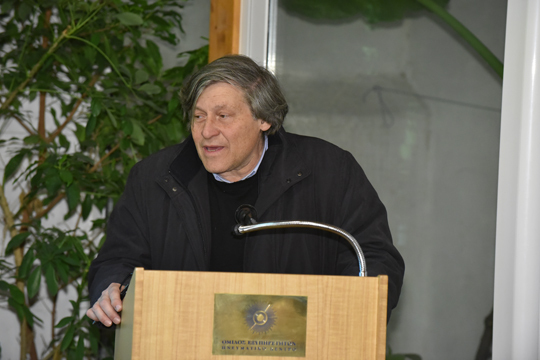 Por lo tanto, big logs of trees have to exist in the river so that these souls, human beings, can rest on these logs and not sink, and make their way through life.